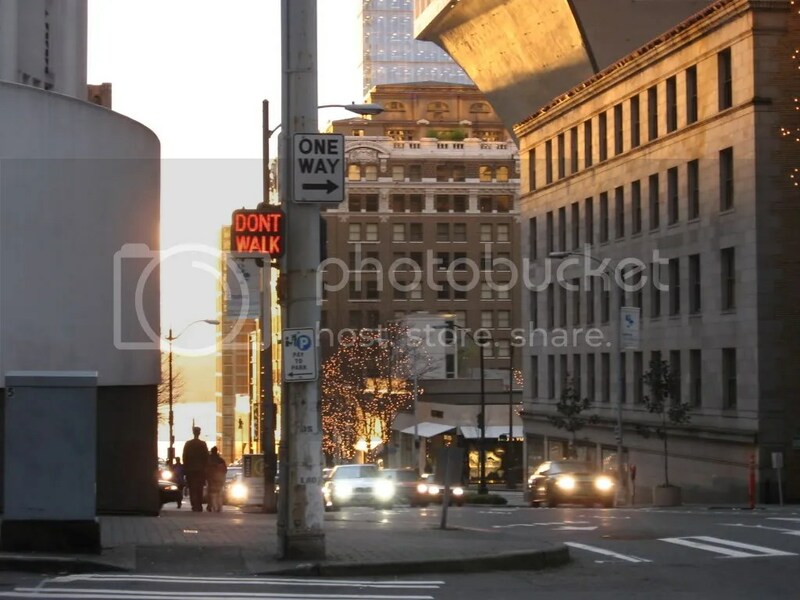 I got lost walking around in Seattle today. I’m very good at getting lost but luckily my brother was with me. We were on our way to visit our cousin Erika in South Seattle, but made a pit stop around Pike and 6th to have a look around. 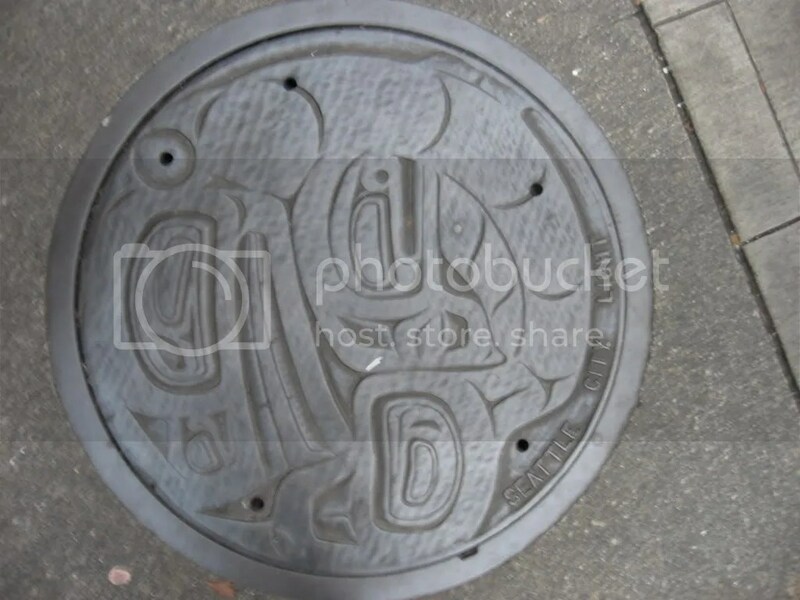 Isn’t this manhole cover pretty? I wanted to take a clear picture but felt kind of silly on my toes, holding a camera at arms length, so I took the stealth way out and settled with a blurry version. After sightseeing and stopping to play a few games at the Gameworks Video Arcade we got a little turned around. We were able to back track with the help of a few friendly Seattleites, but by my estimate I would say we walked around for three hours, one-third of that in a confused state. If I have learned one thing today, it’s that Seattle is not a flat city! Seattleites buy more sunglasses per capita than any other city in the United States.